Biola is in a unique location. It is about 30 minutes to the mountains on one side, the beach on the other, and Los Angeles to the North! If you’re with some friends who are always up for a good time, the possibilities are endless. One of my favorite hobbies is photography. Sometimes some friends and I will grab our cameras and go wander around the beach or Downtown Los Angeles to get some cool photos. Some of the best photos I’ve taken were on spontaneous trips with friends—like this one! Another one of my favorite things to do is skateboard. Luckily, I’ve met some awesome dudes here who also love skating. 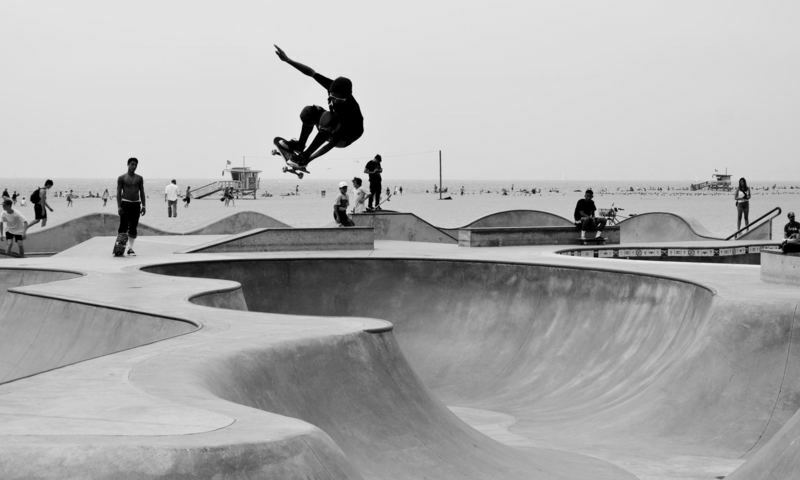 Sometimes we’ll look up skateparks in the surrounding cities and take a drive down. Other times we will just cruise around the city to find a cool place to eat and hang out. If you’re into music, there are also record stores not too far from Biola that you can explore with friends. Two of my favorite stores are Amoeba in Hollywood and Port of Sound Records in Costa Mesa. Those are great options if you’re looking to make a trip out of it. But, if gas is tight, there are also some great record stores that are a 15-20 minute ride from of Biola. Like I said earlier, if you find yourself some friends that are up for a good adventure, there are almost endless types of fun that you can have during the weekends or your free time. Get creative and have fun! See you soon!